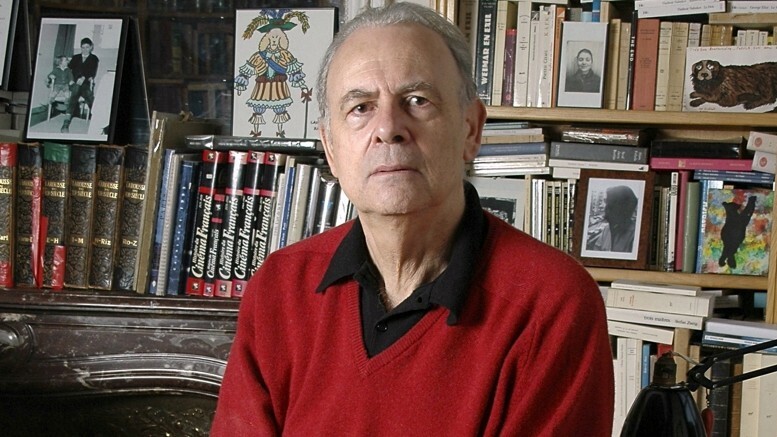 Patrick Modiano is an acclaimed French novelist and winner of the 2014 Nobel Prize in Literature. He was born on July 30, 1945 in Boulogne-Billancourt, a commune in the western suburbs of Paris, France. Due to the absence of both of his parents, Modiano’s childhood was rather peculiar. Missing Person (Rue de Boutiques obscures). Photo courtesy of Amazon France. His father, being of Italian-Jewish origin, was not present during Modiano’s childhood due to the rigorous conditions towards the Jewish population during this time, and his mother, an actress, was mostly absent due to her tours around Europe. This absence led to a strong bond between Modiano and his younger brother, Rudy, who passed away at age 9, affecting Modiano deeply. Raymond Queneau was a key influence in his career, him being the one who introduced Modiano to the world of literature by inviting him to a cocktail party thrown by publisher Édition Gallimard, which later became Modiano’s publisher as well. Modiano, in his writing, deals with issues of identity. Most of his work is done through the lens of “mania” and a desire to track the truthfulness of existence through the reconstruction of the past. One of Modiano’s biggest obsessions is the period of the Occupation of Europe, and he returns to this theme time and time again, creating a homogeneous work. His first book published was La Place de l’étoile (Place Charles de Gaulle), published in 1968, when Modiano was only 22 years old. This book later became a trilogy, including The Night Watch and Ring Roads. Other works by this author include Missing Person (Rue des Boutiques obscures), A Trace of Malice (Quartier Perdu), Suspended Sentences (Remise de peine), among many other works. Modiano is the winner of multiple awards, including the Nobel Prize in Literature in 2014, the Prix Fénéon and Prix Roger-Nimien for his novel La Place de l’étoile in 1968, and the Austrian State Prize for European Literature in 2012, among others. 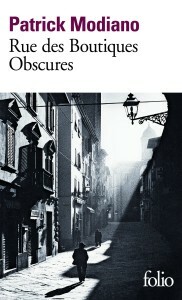 A collection of Modiano’s works. Photo courtesy of booksatwork.org.